Social responsibility is at the core of Central Queensland University’s curriculum. Pro Vice-Chancellor International, Ailsa Lamont, tells The PIE about its goal to become Australia’s first Changemaker Campus in the Ashoka U Network by making social innovation an imperative for every student. The PIE: Tell me about Ashoka. "As someone put it recently, we are a social innovation culture in search of a structure"
AL: Ashoka is an international network of social entrepreneurs. 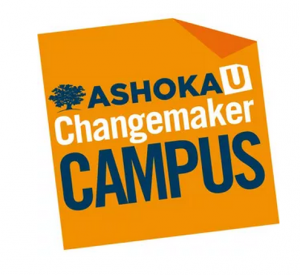 The Ashoka U network was established by the same outfit eight years ago. It’s based out of the US – Bill Drayton is the head of both organisations. 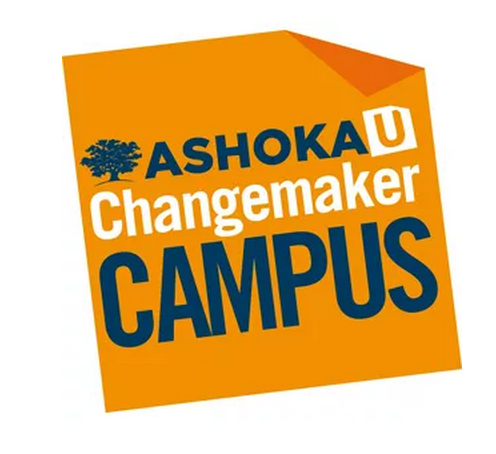 Ashoka U basically works with universities to build their capacity to raise social innovation literacy amongst students and staff and to build social innovation into the curriculum and co-curricular activities. They also run an accreditation scheme called Changemaker Campuses. So, you can become an accredited changemaker campus if you can demonstrate you have whole institution commitment to social innovation. There are between 25 and 30 universities worldwide who have this accreditation. We applied late last year, and we hope to become Australia’s first changemaker campus later this year. The PIE: How would you demonstrate commitment to social innovation? AL: They look at a number of things. They look at the overall institutional commitment, support, does it support at all levels (does it get support top-down or bottom-up? ), and do you have curriculum in place that gives the students access to learn about social innovation? Do you have co-curricular activities – it could be placement, or volunteer opportunities, fellowships – and a strong change team in place? This is a team of people across the university in different disciplines and levels who are engaged actively in social innovation. The PIE: Can you give a tangible example of how you engage with a wider society? AL: Yes. On curriculum, obviously the most important thing is to teach students about some of the principles of social innovation, which incorporates basics like design thinking for a basis of empathy, and this stresses the importance of transdisciplinary approaches to finding solutions to systemic problems. That’s really interesting for universities because obviously very often curriculums are taught in silos. The PIE: To request organisational change? AL: Yes, so specific examples of what we’re doing: we are bringing in graduate certificates for social innovation this year, which has courses and subjects from different schools. We are looking at, on the co-curricular side, taking our current credit-bearing internships and we just started by signing up to work with a US based organisation that works with community projects in 140 countries around the world. And it matches specific volunteering opportunities in their community to their students and setting that up for credit. I think the road to hell is paved with good intentions and I don’t think many people actually understand what they’re doing; they just want to do some good. But, the aim is to give the people the tools whether they choose to become a social entrepreneur later in life, and that’s great, or whether they actually choose to be a hairdresser, or a scientist, or an educator, that they have those basic tools at their disposal. They can then have that social perspective in anything that they do. The PIE: Do you consider yours to be a socially inclusive university? AL: Definitely. This project builds on a couple of things that we already do. As someone put it recently, we are a social innovation culture in search of a structure. We have one of the highest proportions in the country of low-socio economic students, indigenous students… our international students generally are also a big proportion of the first in the family, not from the richest pool of international students coming to Australia. Also, basically we are a collection of small universities even though we’ve got 36,000 students; we are in so many different locations that each campus is actually quite small. Especially in the regions, we are connected the local community, but mostly we’ve had this programme called ‘The Giving Back Programme’ where we support an orphanage in New Delhi, a trust called the Salaam Baalak Trust which runs five orphanages for street kids and it has a training program as well to become tour guides in New Delhi. Our nursing students go spend time working there. The PIE: Are you hoping then it’s a way of essentially crystalising your mission and advocating that internationally as well? AL: Absolutely. And it’s not just purely altruistic; our students get so much out of this, there is an increasing body of evidence that shows that’s exactly the type of skills that employers are looking for: people who can work cross-discipline, in teams, and collaboratively look for solutions to systemic problems, and we are finding an increasing demand in our students for corporate social responsibility. The PIE: Do you think most Aussie students look for a degree of ethical responsibility in an institution? AL: To be honest, I’m not sure that’s as well an articulated a demand as it is in the US, for example. I think in Australia, while a lot of our students volunteer, they don’t often see it as part of the university experience, so they haven’t really been pushing it as far as the US has that I’ve seen. We think that demand is there, and we are trying to cater to it. The PIE: Tell me about engaging with US community colleges. AL: We are talking to some of the big community college systems, especially now that we are a comprehensive university so we have a vocational arm as well as the university. We can offer almost all levels of education now, so that broadens the scope for partnerships for us. We think that there might be some international students at community colleges that might want to transfer to Australia as a pathway, but also potentially this could be a way to open up study abroad opportunities for American community college students who don’t go abroad in the same kind of proportions as their college counterparts. The PIE: Are you also interested in taking Australian students and doing a semester in the US? AL: We are looking at developing more short-term study options, given that we have a large number of vocational-level students, plus so many students who are at a mature age who can study at a distance… This is not a cohort full of students that do a full standard semester, so if we want to internationalise them and give them options which we do, we need to look at something a bit different. The PIE: Fascinating. So, having merged (working with a TAFE), how has that informed or changed the communication delivery that you are offering? AL: In some cases it’s very simple. We used to offer a bachelor of nursing within the university; now we also offer a diploma of nursing within the TAFE, and now it’s just matching those up to see if you can seamlessly transfer those from one to another. We’ve taken parts of the diploma of education (TAFE), and embedded that within the bachelor to make it more practical. And one of the things that I really like (the term that’s been thrown around is reverse articulation) is the idea that students can transfer both ways. There will be a lot of cases where it will make sense to go from a PhD to a vocational certificate – it could be any level. The PIE: How do you use technology to deliver education? AL: We already use huge distance education providers – more than half of our Australian students study with us online. One of the things I really like about our approach is that yes, we’ve got the technology but there’s also an understanding that you need to engage with the learners as well, and sometimes that needs to be face to face. So, in contrast to some other universities, we’ve had some going out into small communities and setting up mini hubs. Last year we opened somewhere in Charter’s Towers, which is an hour and half drive inland from a city and there’s no university there. We opened a small study centre there, where people in the region who study long distance with us already can come and get access to video conferencing technology and sit exams and so on. So we are actually reaching out to them.